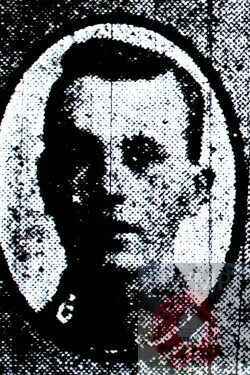 Died between: 18th – 23rd September 1918; age 25; KiA. Residence: 5, Suffolk Road, Ipswich. Employed: at Ransomes, Sims and Jefferies’ plough works. 1901 32, St. Margaret’s Street, Ipswich, Suffolk. Thomas Stocking Edwards, 46, a brewery Night Watchman, born Onehouse, Suffolk. Harriet Edwards (nee Todd), 48, born Ipswich. Florence Adelaide Edwards, 15, born Ipswich. Harriet Gertrude Edwards, 13, born Ipswich. Albert Victor Edwards, 11, born 11, born Ipswich. Eliza Esther Edwards, 9, born Ipswich. 1911 5, Suffolk Road, Ipswich. George was 18 years old, a Foundry Grinder at an Agricultural Iron foundry. He was living with his father & sisters. Thomas, 56, widower, a brewery Labourer. Harriet, 23, a Boot Machinist at a factory. Eliza, 20, Help at Home. George’s mother, Harriet died in 1905. George is also remembered on the war memorial at St. Margaret’s Church, Ipswich and is also remembered on the Orwell Works Memorial Ransomes Sims & Jefferies Ipswich.